Hallmark Hardwoods is our standard. We are excited to be able to offer this new product line to all of our home buyers. We include these hardwoods in the foyer, kitchen/eating area and back hallway. 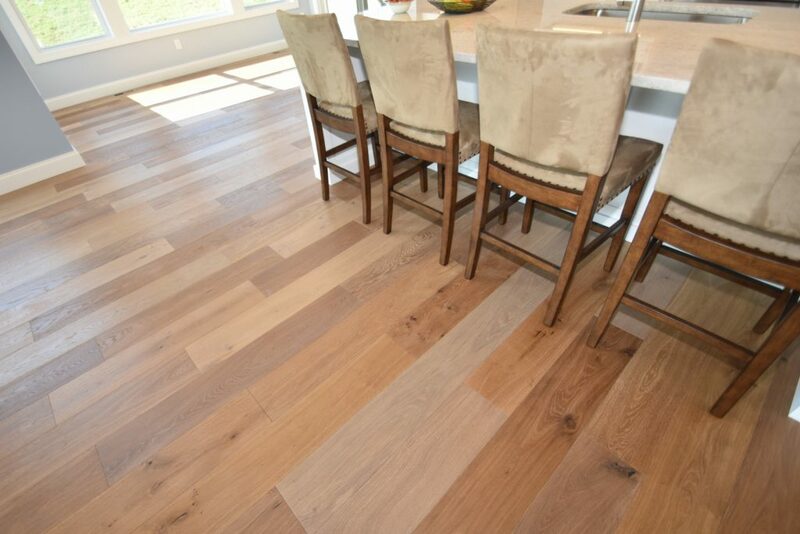 The natural distressed look is what makes these floors look so beautiful! They are also very durable because they are finished with NuOil® which uses proprietary technology in the application of numerous coats of oil finish in the factory. Hallmark Hardwoods is the industry leader in wearability and stain resistance in oil finish.